History has shown that estrogen replacement given alone to women with an intact uterus has the potential to overstimulate the endometrial lining. This results in a thickening of the uterus lining called endometrial hyperplasia which is a significant risk factor for developing uterine cancer. This was a major problem in the late 60’s and early 70’s when large doses of estrogens were prescribed for HRT without progesterone. While estrogen stimulates the uterus lining to grow, progesterone changes the lining from a proliferative phase to secretory phase and prevents overgrowth (hyperplasia). Now days much lower doses of estrogens are used and the problem has been significantly reduced, also HRT guidelines stipulate to use a progestin (class name for progesterone-like hormones) together with estrogen to protect against estrogen-induced endometrial hyperplasia. These recommendations are for women who have an intact uterus and have not undergone a hysterectomy. But what happens if a women cannot tolerate synthetic progestins but requires HRT? Synthetic progestins, such as medroxyprogesterone acetate (Provera®) can have side effects not seen with natural progesterone. This is because they don’t interact with the receptors within the body in exactly the same way as natural progesterone does. In these cases women have the option to use an estrogen-only regime and have an ultrasound every 12 months to measure the endometrial thickness to ensure it is less than 5mm. Alternatively women can consider using natural progesterone cream. By definition, a progestin will change the endometrium from a proliferative to a secretory lining. Progesterone cream has not been demonstrated to achieve this change and while we have no doubts that ProFeme is protective against endometrial hyperplasia , studies have not been conducted to prove it. Therefore, mainstream medicine does not recognise progesterone cream for this use. If a women does opts to use a natural progesterone cream with estrogen for HRT then a 12 monthly ultrasound is recommended to measure the thickness of uterine lining. Alternatively women can use a natural progesterone cream such as ProFeme as a stand alone product which in so many cases reduces menopausal symptoms without the need for estrogen at all. 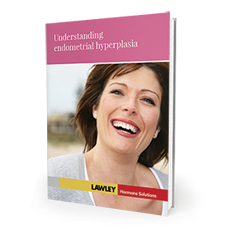 Learn more about Endometrial Hyperplasia by clicking on the image below. 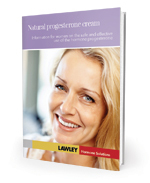 The booklet below, Natural Progesterone Cream gives a general overview on the wide ranging properties of progesterone. Take the online Female Progesterone Deficiency Self-Assessment quiz here.